The Tahtalı Run to Sky starting at sealevel and ending at 2365 above sealevel on the Tahtalı mountain, will take place on a trail of beauty unprecedented in the World. The first Çirali-Ulupınar stage of the race will start at 09:00 on the Ciralı beach. This 10.43km long stage will take place on a gentle slope. The second stage of the race will be the 19.88km long Ulupınar-Beycik stage and will be similar to the slope of the 1st stage. The participants (chips will be read at the checkpoint in Ulupınar and in the square in Beycik) will then start the toughest and steepest stage of the race, the 28.67 km long Baycik-Tahtalı mountain which ends at the summit of the Tahtalı mountain. The track consists mostly of paths and 10% asphalt roads. Staff will provide support to participants at transitions and sections where the slopes get more difficult. The cut off to complete the course is 6h. Participants unable to complete the race within this timespan will be disqualified. Each participant is required to complete the competition according to the partial qualification principles. Water and food will be provided at the checkpoints in Ulupınar and Beycık. An ambulance, a doctor and a medical team will also be available at those checkpoints. 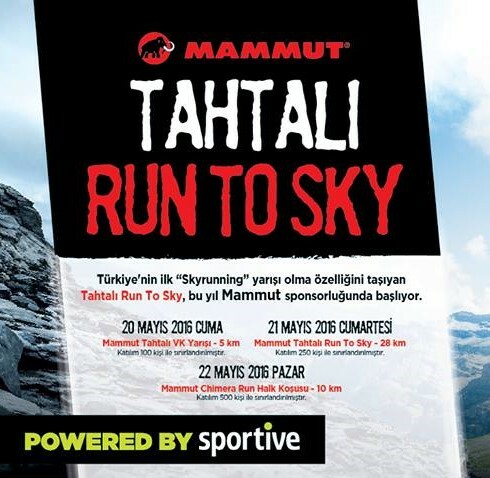 75% of the Tahtalı Run to Sky race will consist of climbing. 10% will be asphalt and the remaining 15% will be downhill and on flat roads.The course has been prepared following the Lycian way. As will be apparent, the people who ran or walked the Lycian Way marked it with red and white paint.You will be able to see these signs sometimes on an electricity pole, on a fountain and sometimes on a stone or tree. In average, the incline of the course is about 20% and at some places it reaches 50%.The race starts at sealevel and views will become more beautifull as you climb higher. 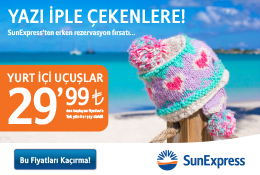 At the first checkpoint in Ulupınar you will be running in the shade of plane trees, at the checkpoint in Beycik you will be running in the shade of pine and cedar trees. Aside from the checkpoints, it is almost impossible to find water along the route. Therefor it is important to fullfill your waterneeds at the checkpoints. There will be no straight paths after Beycik, it will only be climbing. The general trail course of the Tahtalı Run to Sky race will occasionally change into asphalt, dirt road and scree. The last part of the race, the Tahtalı transition cone, consists of scree ground. Tahtalı VK Run is the first vertical kilometer race in Turkey. “Vertical Kilometer Race“ is the name for races between 3km – 6km and a minimum 1000m altitude. Tahtalı VK starts at 1400 altitude in the North – East of the Tahtalı Mountains in the Tahtalı Cukur Plateau, will be run in on average on a 20% to 60% slope where a footpath is hard to find and is mostly scree. The length of the race is 4,80km and the altitude is 1000metres. The cut off time is 2 hours. You may think that this is an easy race due to its length but from the beginning of the race, you start climbinging. We advise you not to underestimate this competition. The finish line is at the top of the Tahtalı Mountain, at 2365 metres.